Writing high quality and informative content on your blog will not provide you solid outcomes if you are not encouraging content engagement on your blog. Effective blog content engagement is something most vital to get success in today’s blogsphere because content engagement not only brings more new visitors but also helps improve search engine rankings. But the question is still there that how can you connect your readers and make your content thrilling? Thankfully, due to technological advances and high-speed internet, we can find proven content marketing tips and online tools to increase content engagement on your blog. Scroll down the page to have a big list of result driven online tools to increase content engagement on your blog. Since every effective content marketing strategy starts with numbers (data analysis), you should have an unfailing tool to understand visitors’ behavior on your blog not only to find the perfect keywords but to study real-time statistics as well. Google analytics is the best and free online tool to increase content engagement on your blog. After getting the accurate figures, you will feel ease to develop a content marketing plan to implement available figures into real practice. Through this way, you will get success to secure visible positions in SERPs and will also get trending ideas to encourage your blog readers to be more engaged with your content. 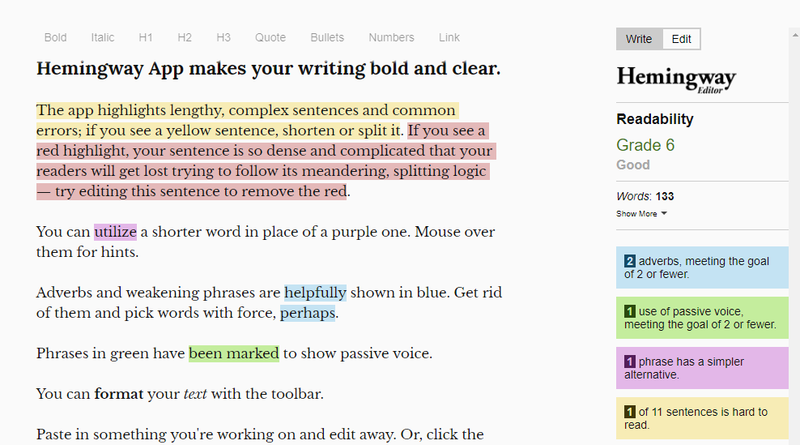 Bold and clear writing makes your blog appealing and easy to read as well. That’s why you should use an online editor in order to eliminate content-related errors in your content. Hemingway Editor is an amazing online tool to increase content engagement on your blog because it enables you to create simple, easily readable and error-free content that your readers will love to read and digest as well. When writing content for your blog readers, it’s possible that you could make several mistakes along the way as we all are humans. Errors or mistakes in content can make it ugly and hard to read as well but you can get things in your favor by using Readability Test Tool as you can test your content in it by URL, by direct input or by referrer. It enables you to improve readability of your content to make it easy to digest. As scoop.it is an eminent platform to discover content based on your interests, it could be a great choice for you to build useful links for your content as well as to increase your blog’s visibility without spending a lot of content marketing efforts. It is one of the best online tools to find influencers for your content marketing strategy by suggesting your content. You can also reach out likeminded bloggers and authors there who will be willing to share your blog content with their followers to help you reach more audience. A big number of blog readers is connected with Disqus as it allows them to write and submit comments on their favorite blog posts. Basically, it is an online community that connects its users with a huge number of blogs and websites at the same time. You can also add Disqus comment plugin on your blog in order to increase blog comments that will surely boost content engagement on your blog in results. High quality and most relevant images can make your content more appealing and informative as well, so why are you not adding images in your blog posts? Basically, Placeit is a mockup generator that can help you design alluring images and graphics for your blog posts in order to grab the attention of your readers as well as to hearten them for going through the whole blog post. Simply choose a favorite mockup template relevant to your content and add your own details or design there to get quality images ready within few moments. Once completed, add that images in your blog posts to increase content engagement on your blog. You might believe that quality content creation and curation is enough to get your content marketing campaign on the track. But, you also need to discover the best ways to grab the attention of as many readers as you can for your blog content. There are always some people in any niche or industry who seek satisfactory answers to their questions and you can help them by providing suitable solutions, information or data. Quora is the number one Q&A platform that you can join to increase content engagement on your blog by presenting your content as the best solution for questions asked by many people.